I must have spent at least fifteen hours over the weekend in graveyards. I walked quietly and read as many of the family markers as I could. It’s odd. 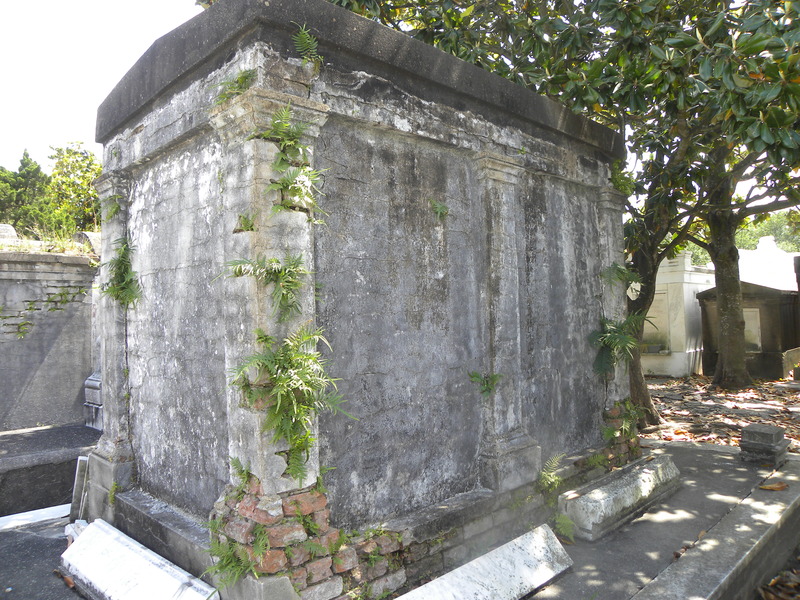 The St. Louis Cemetery No. 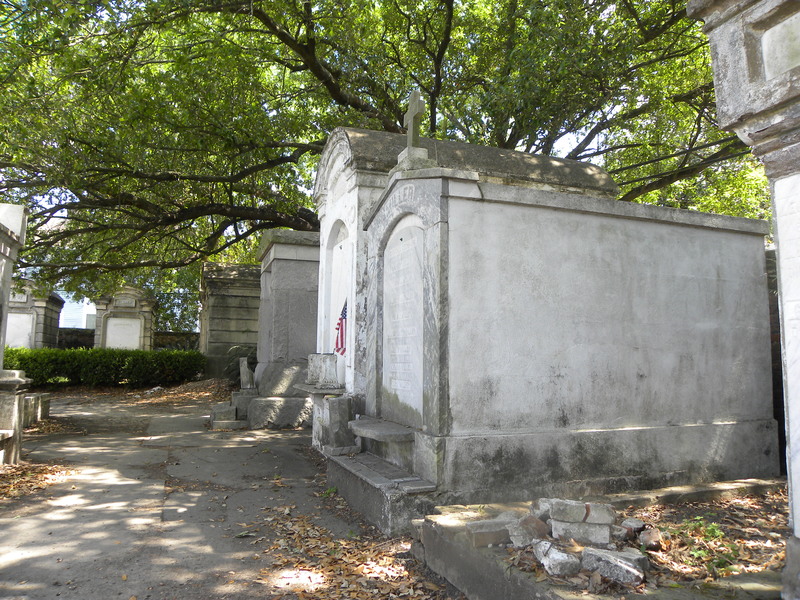 1 is one of the most visited graveyards in America. 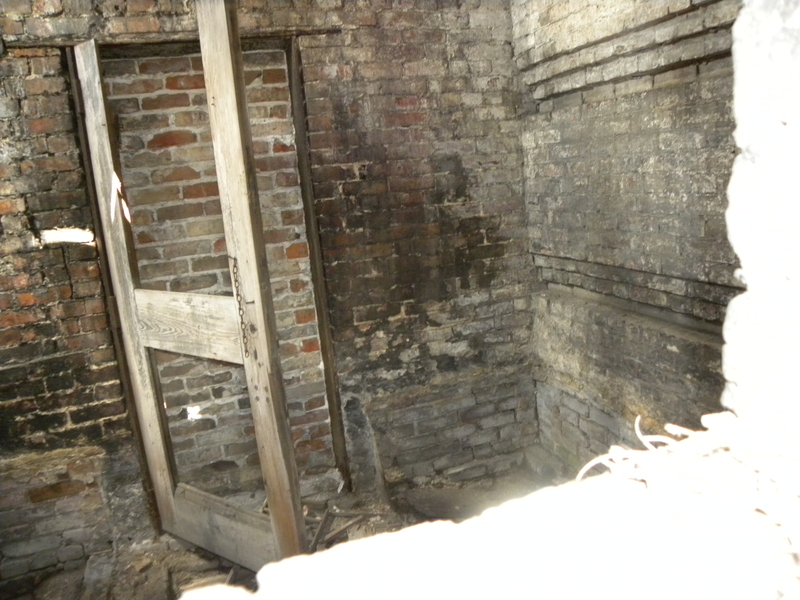 Yet, even with all the tours and visitors, corners and pockets were filled with stifling silence. 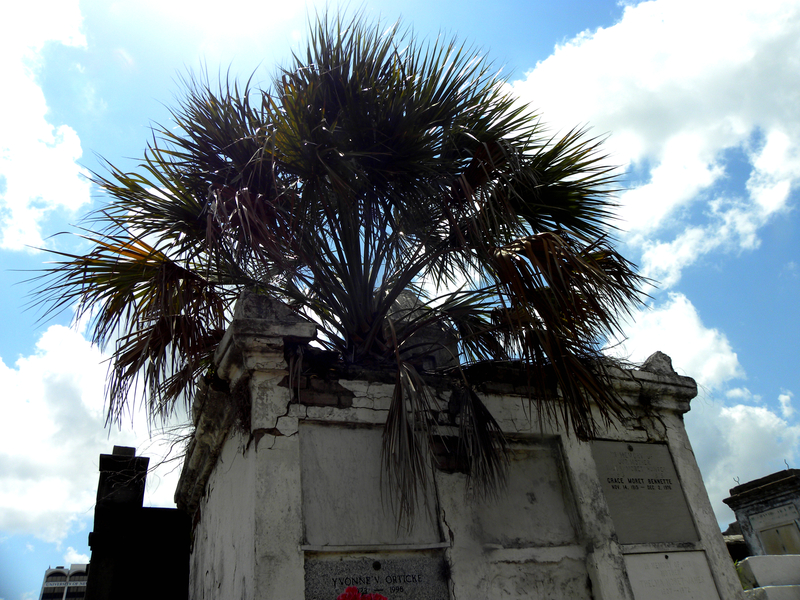 I also visited St. Louis Cemetery No. 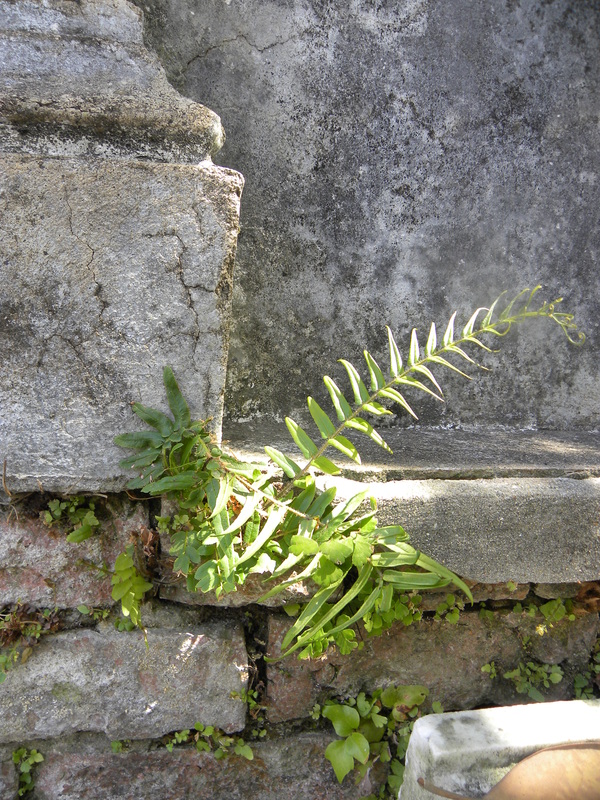 2 on Treme and the Lafayette Cemetery in the Garden District. Each one had its attributes and each its faults. The primary fault of No. 1 is the failure to provide sufficient security and ‘guilt signs’ to prevent vandalism and theft. No. 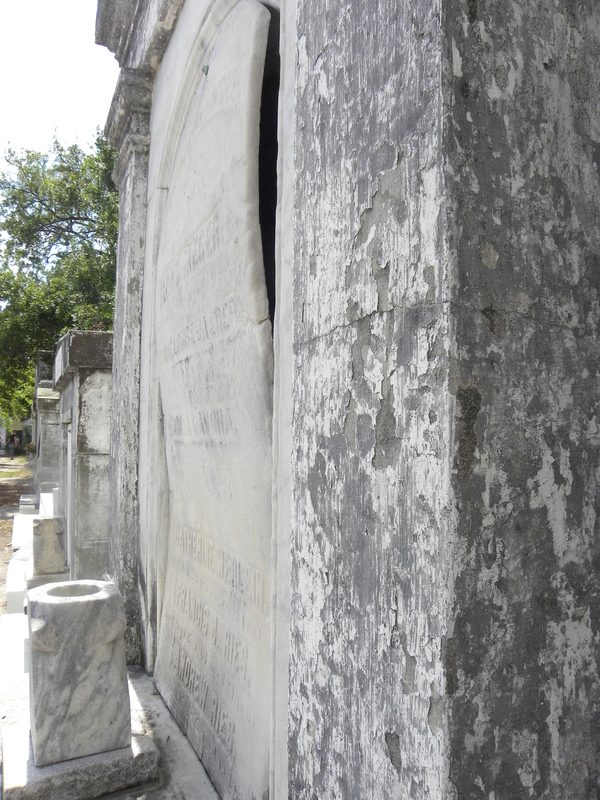 2, unsecured/unsealed graves open to looters. 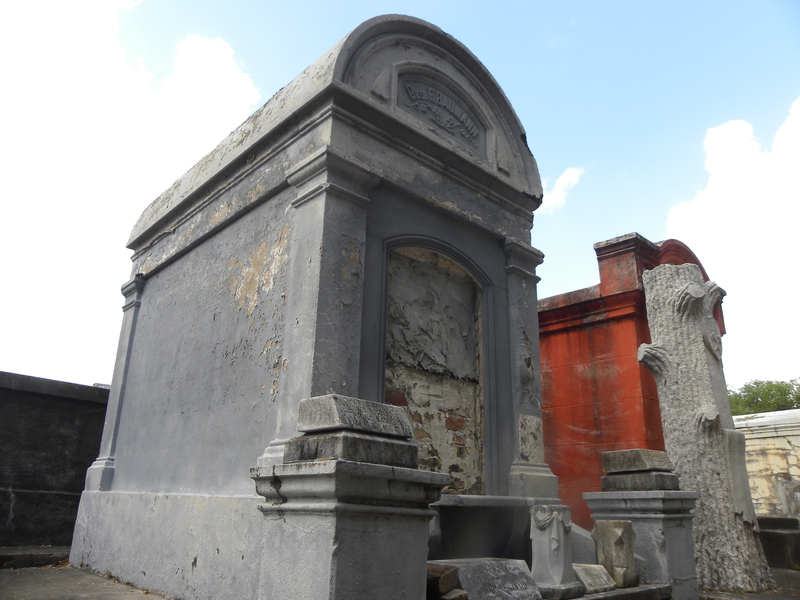 Lafayette, not as cared-for as they’d like to think. Look, I hadn’t walked around hoping to peek in graves or opening them. However, when presented with the opportunity to verify what I had read (most bodies decompose within a couple of years due to the climate and the gravediggers break up what’s left to make room for the next body), I felt compelled to stick my camera in. There is shockingly little left of the people buried in those graves. This is a very different concept for me. For instance, when they built Southpark Meadows (Wal-Mart, Target, etc. 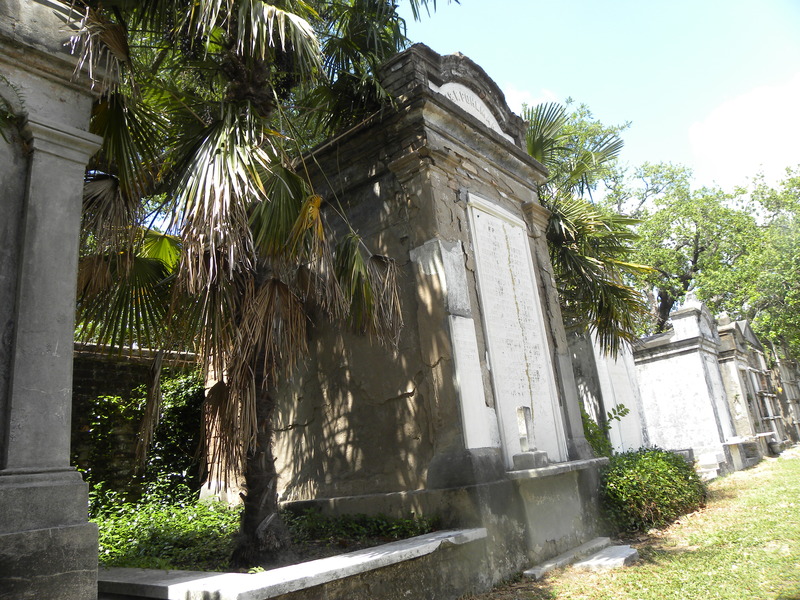 shopping center) near my house, it was necessary to exhume the white pioneer owners and move them to the Live Oak Cemetery up the road. I read an article quoting the decendents as saying something along the lines of, “Not everyone gets to see their great-great-grandparents.” So, even after all that time, the skeletal remains and clothing persisted. That sounds about right. Growing up in Humble (20 miles or so northeast of Houston), I know how intense the subtropcial environment is. I just never contemplated what happens to the dead in an even more water-logged area. An internet search quickly educated me. 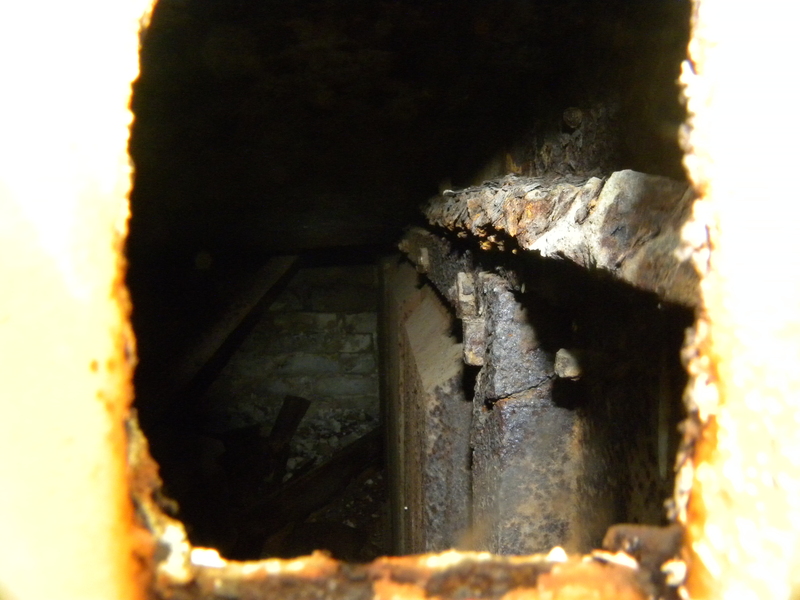 The reason why so many bodies can fit in such a small grave is due to the quick dissolution of the corpses and wood coffins. The mausoleums function almost as an oven in that respect. What does not dissolve is broken up by the burial crew to make room for the newly departed family or friend. It sounds brutal in some ways, but departure is brutal. It was commented to me (yes, the passive voice is my great friend) that it was disrespectful of me to take pictures inside the graves. I disagree. First, the skeletal remains are not capable of shame. Second, if the families gave one rip about their dearly departed, they would take more care of the graves. 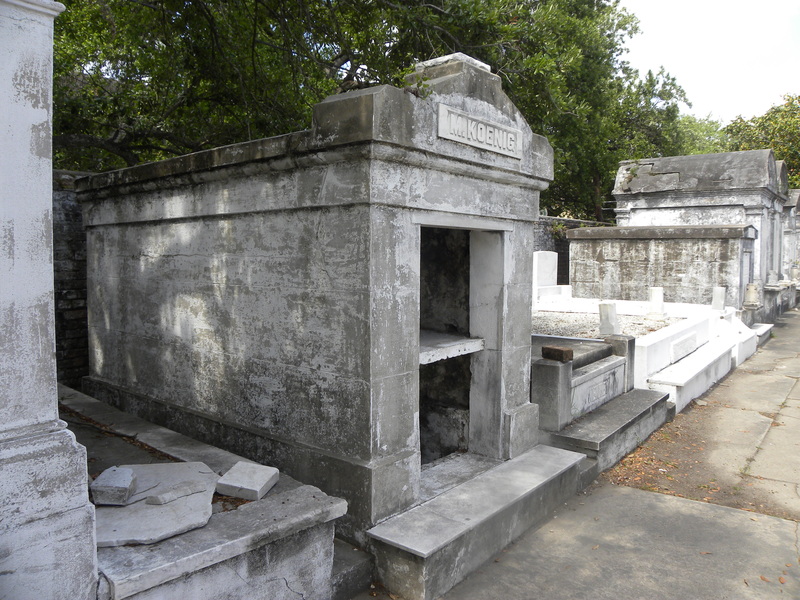 This post is not meant to pass judgment on the families who cannot take care of the graves. Frankly, if my relatives pop out of the ground owing to my inability to care for their remains, you may do your anthropological and photographical study. At least you care to know something of them. 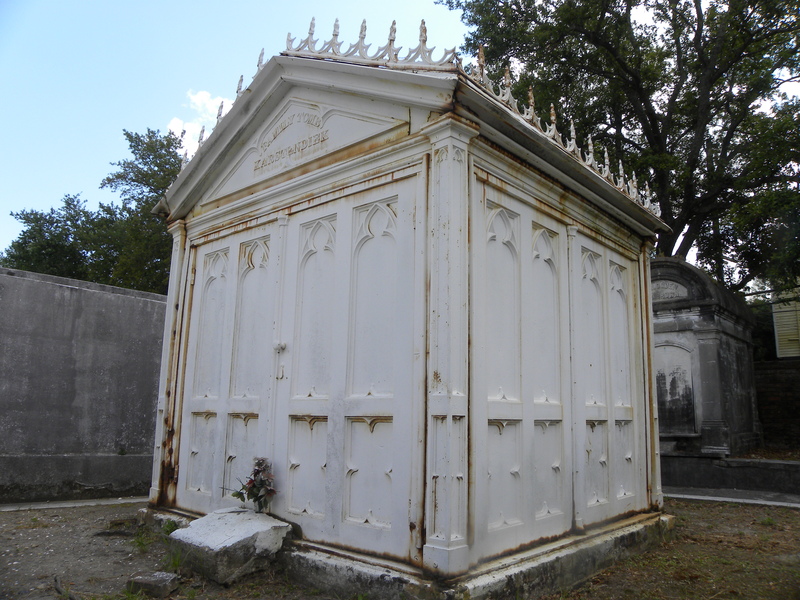 And, that was my intention when I stuck my flash camera in the mausoleums. 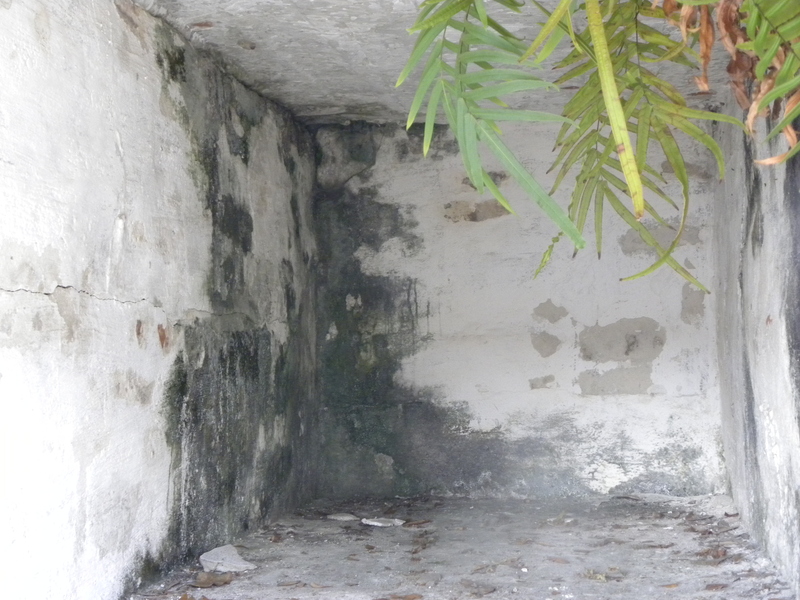 I would never deface the resting places or purposefully disturb the grounds, but when offered the chance to see what death is like inside the tiny citadels, I was compelled to investigate. The real family tree. Think about how long it took the roof to have a hole, the time it took for a palm tree seed to fall in. The stray line of light encouraging the palm tree to break out of its seed pod and grow. The family that feeds the tree. Yet, we think nothing of a tree’s being or soul–for it has no eyes. Do you see the skeleton in back? The end of the coffin to the left? 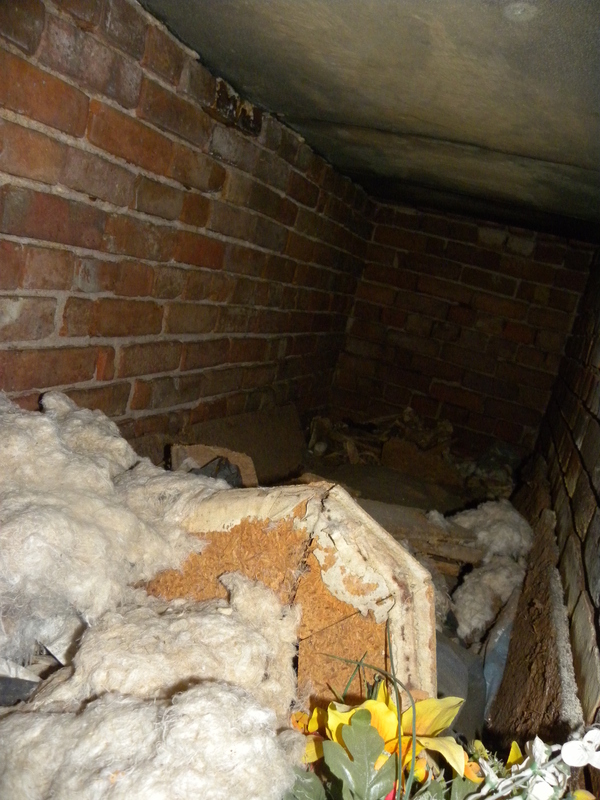 The rotted pillows from coffins long-gone to the right? 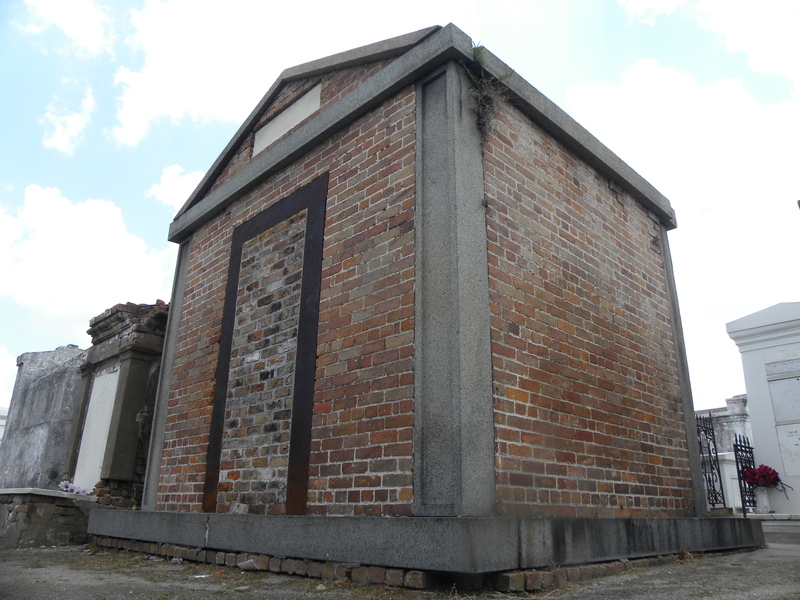 As soon as I saw a rusted mausoleum, I knew there'd be a way to peek in. 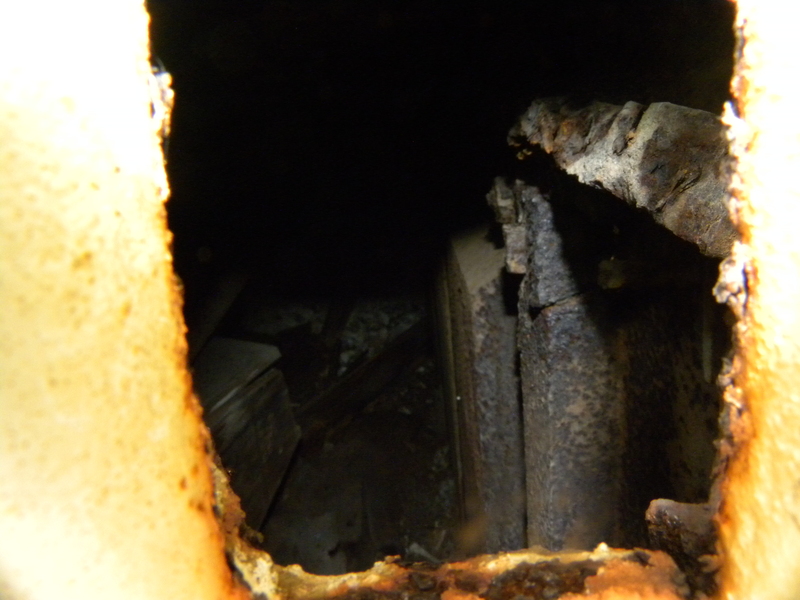 Inside the rusted resting place. Coffin to the left side. An empty grave. Probably not completely entirely empty of remains--but ashes to ashes and dust to dust. Particularly in the subtropical environment. 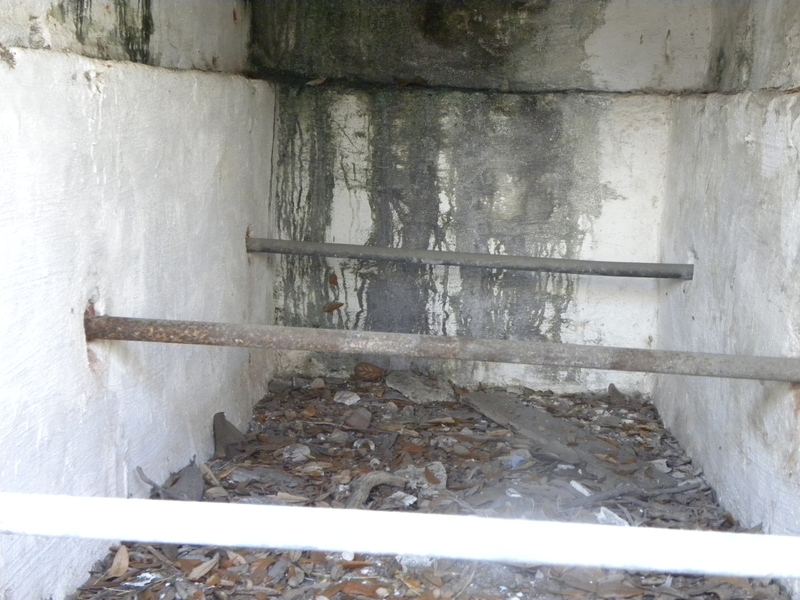 I wonder how many people decomposed in the bottom of this above-ground grave. It's impossible to say without the family's list of the deceased.